I’ll start with the most recent photos, taken last Thursday night. 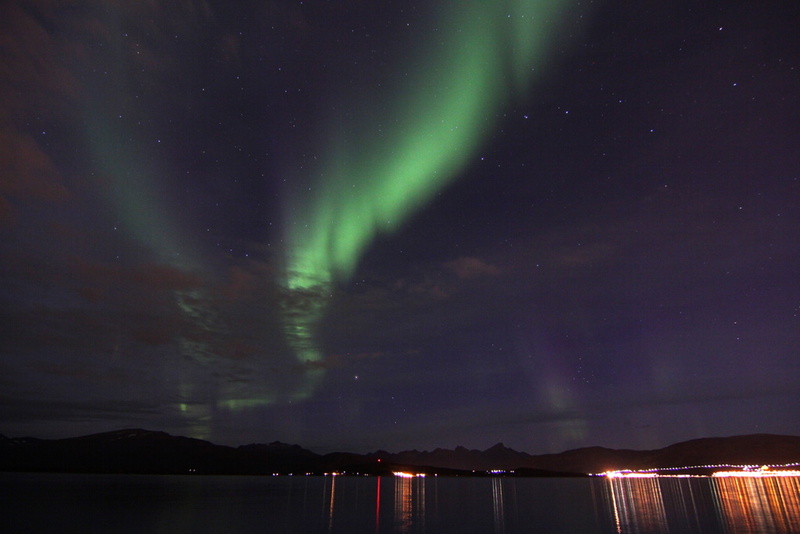 We had a Dutch meteorologist and his friend over for dinner, they were visiting Tromsø to see the northern lights. 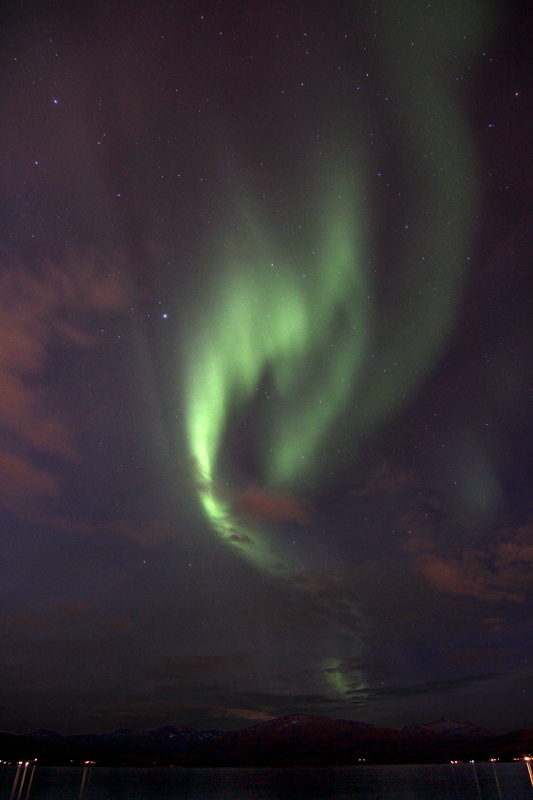 The northern lights have been very active lately, and they already got to see it 3 times during their visit. This was the evening before they were flying home, and when the aurora came out they were keen to use this last opportunity 🙂 So we headed to Telegrafbukta with a thermos of hot chocolate and watched the show. 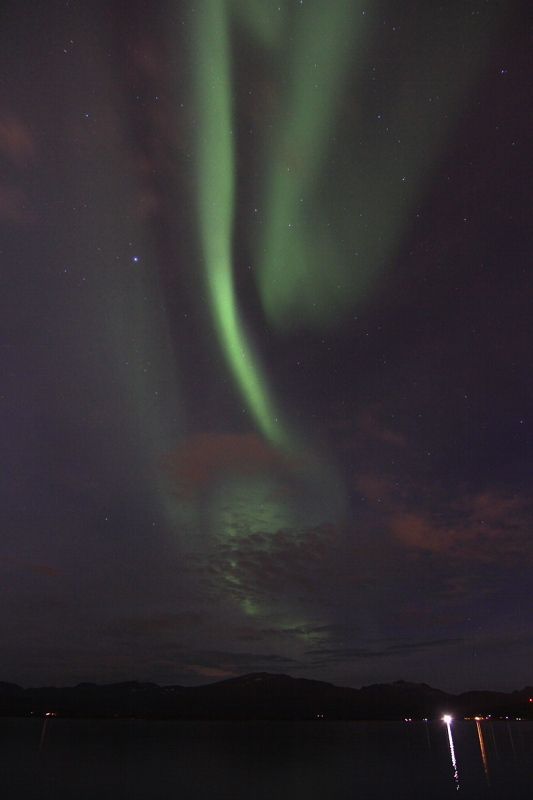 It was partly cloudy, but it was a great show! 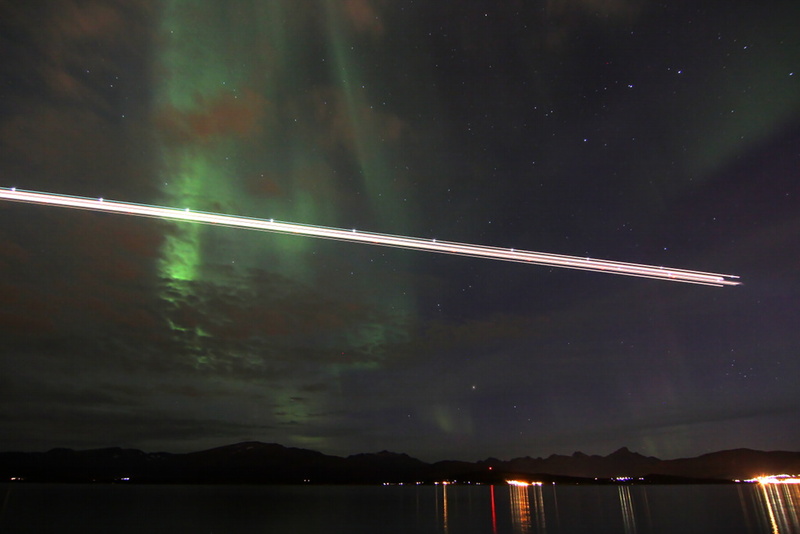 A few planes flew through our photos, on their way to landing at Tromsø airport which is quite close. 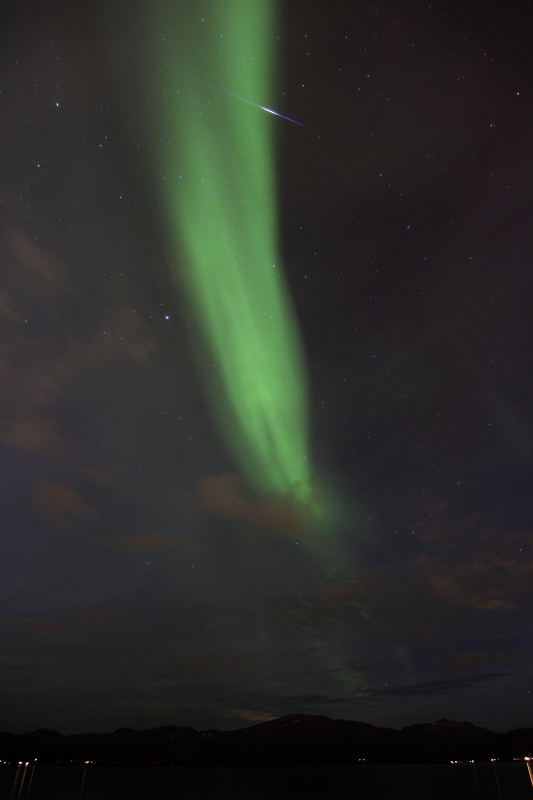 There was no wind and it didn’t feel very cold, nice way to watch the northern lights 🙂 While editing my photos, I found that I also caught a satellite flare (in the last photo below). If the aurora season continues this way, I won’t get much sleep this winter 😀 Luckily this time the lights died out just after 22:00, so we went home relatively early. Thanks 🙂 I always end up at Telegrafbukta as it’s really close to my house and it’s dark enough… but when I have a bit more time, it’s nice to drive out of Tromsø and find more exciting locations.